A common criticism about the concerts is that they are all extremely similar, with innovations in content or format being frowned upon. Nowhere in the world is there a tradition of more than a month long festival devoted to the classical arts, encompassing several venues, with around 3,500 concerts. The lives of all Carnatic musicians, young or old revolve around the “December season” as it is called; they don’t accept concerts anywhere else, time stands still, visitors and music festival organisers arrive in hordes from all over the world; accommodation of any kind is hard to find during this time in Chennai. A common criticism about the concerts is that they are all extremely similar, with innovations in content or format being frowned upon. 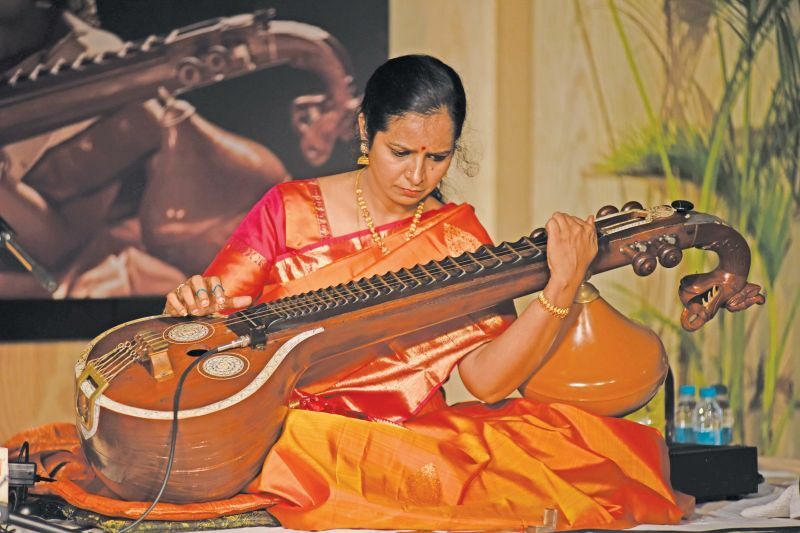 On being questioned about the type of presentation, Sudha Raghunathan admitted most of thepresentations were very traditional and one was expected to stick to this; usually during December 1-10 thematic related concerts were presented she said. For Abhishek Raghuraman, the December season shaped him when he was a student. “In the1990s when I was a toddler, I used to listen to everybody, and it was simple as everything happens in the same place, in Chennai. I used to accompany my grandfather (Vidwan Palghat Raghu) everywhere, and heard everybody.” he shared. Sadly, there are very few concerts of North Indian musicians, perhaps 8-10 the entire season. 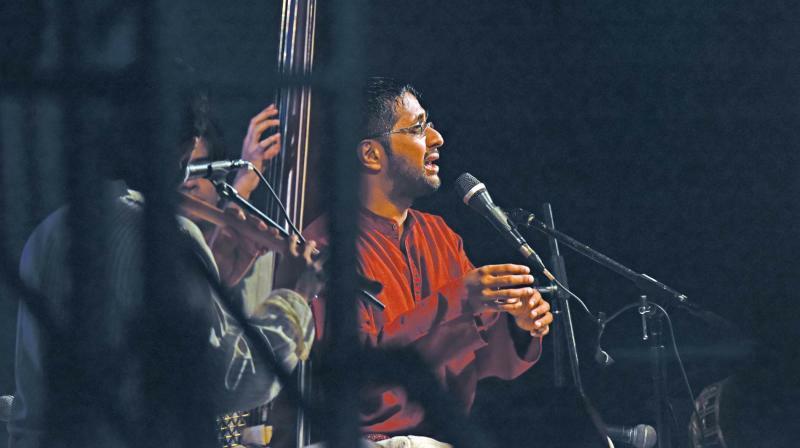 The Madras Music Academy invites one senior North Indian artiste on December 31 traditionally. Their archives have some wonderful recordings of greats like Ustad Vilayat Khan and Ustad Ali Akbar Khan, but these are so few. Another downside is the repetition of the same artistes; perhaps inevitable as the concerts are usually ticketed. Abhishek Raghuram admitted that now the season implies restraint for him. He confessed “Personally I don’t sing more than 10 concerts during the season, which spreads over nearly 2 months, from end November to mid January”. All in all, the Chennai December season is breathtakingly awesome; unless one has experienced it, it’s impossible to describe the type of vibe and buzz the city has during these days.